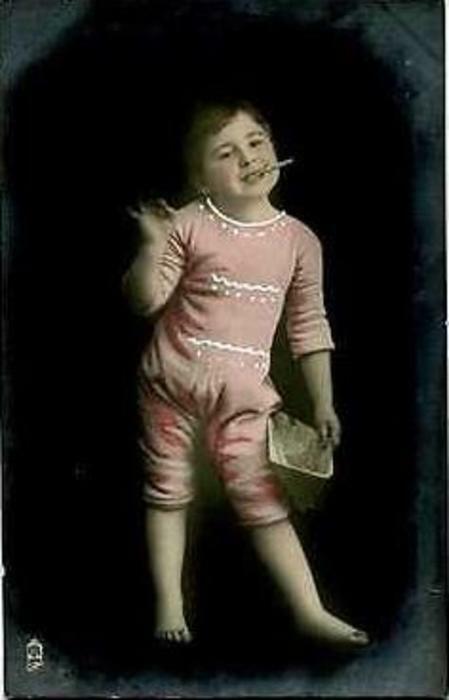 When Isabella Alden saw that brief letter, she took up the cause of promoting the Anti-Cigarette League to young readers of her own magazine, The Pansy. 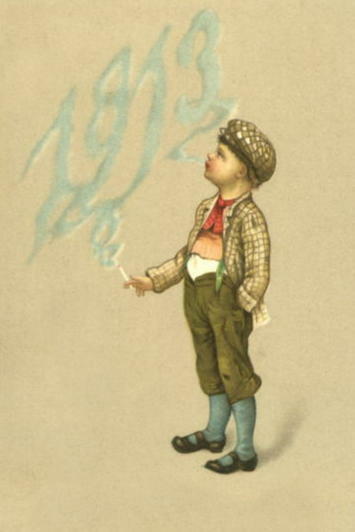 Smoking among boys—and even some girls—was not uncommon in the late 1800s. 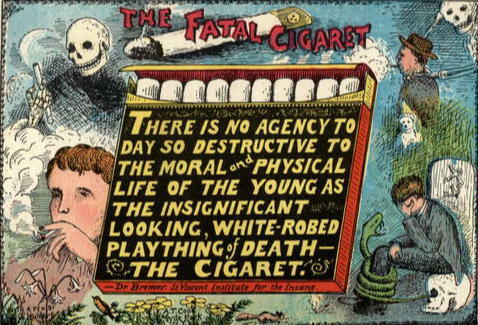 Cigarettes were readily available and manufacturers targeted their cigarette ads directly at children. 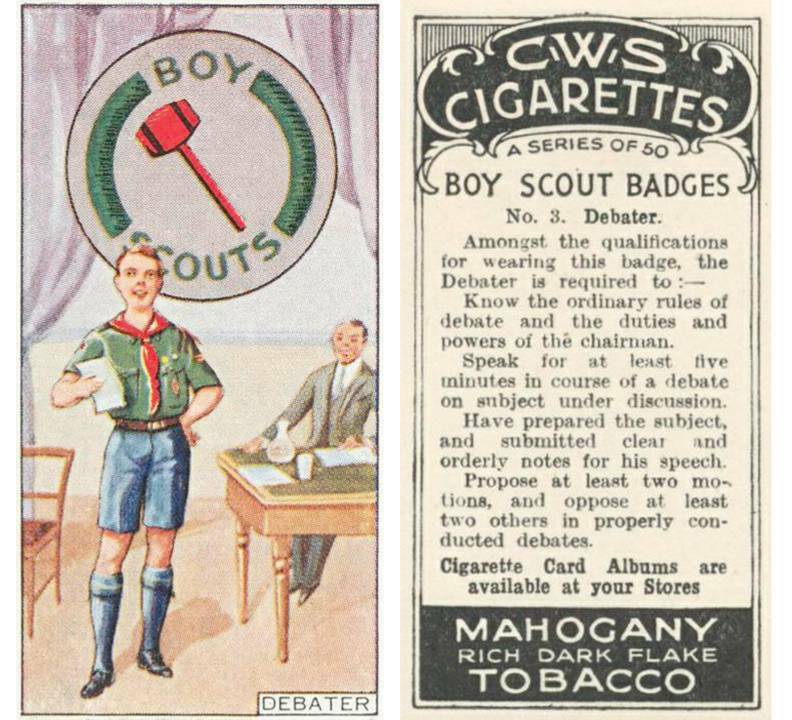 For over 50 years tobacco companies inserted collectable cards into their product packages and encouraged consumers to “collect them all.” This card, one of a series of 50, equated the wholesome Boy Scout organization with cigarettes. There were no restrictions on how cigarettes were made, so cigars and cigarettes were often laced with opium, strychnine, and arsenic. 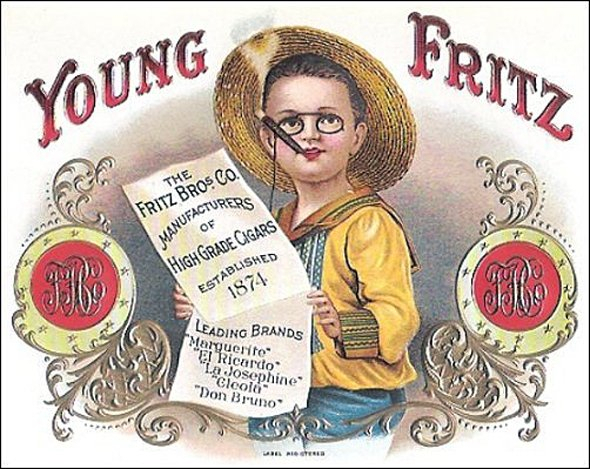 Illustration on the lid of The Fritz Bros. & Co. cigar box. 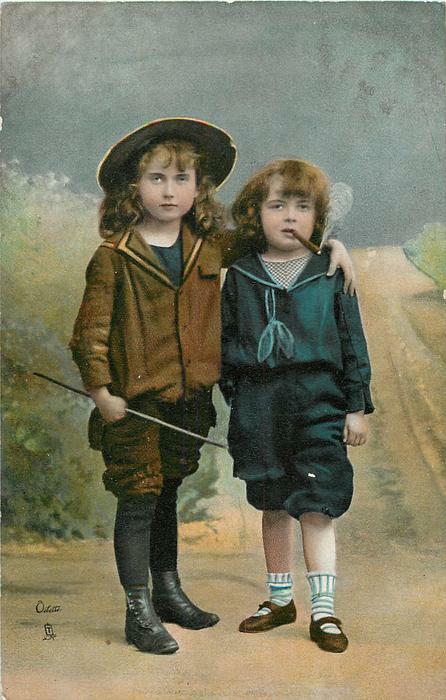 They were inexpensive, too; cigarettes made of inferior tobacco and paper sold for mere pennies, and some saloons and retailers gave cigarettes away to children so they would become addicted and return to purchase more. 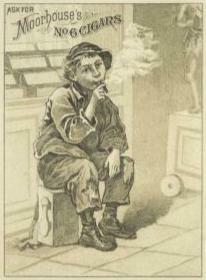 Cigarette pack trade card, 1908. She was fighting an up-hill battle. For every physician who believed cigarettes were dangerous, there were dozens who believed cigarette smoking was helpful to patients. Doctors prescribed cigarettes to cure a variety of complaints, from asthma to stuttering to nervous conditions. One cannot walk the streets of any town or village without having cigarette-smoke puffed in one’s face, from the lips of mere boys. She felt it was her duty to explain to parents the risks of smoking for children, and she didn’t shy away from using her pen to spread the word. 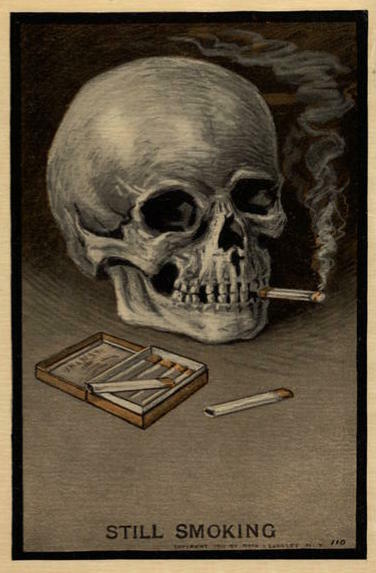 Artwork from a promotional calendar distributed by a tobacco company in 1893. To put it in brief: at the time our story opens, Paul Adams was an ignorant, good-natured, tobacco-chewing, cigar-smoking street loafer. He smoked cigars when he could get them. Not that he began by being particularly fond of them—in fact, he found it unusually hard work to learn. He had to devote to this accomplishment the courage and perseverance that would have told well for him in other directions; but it is a taste that once acquired a boy will gratify if he can. 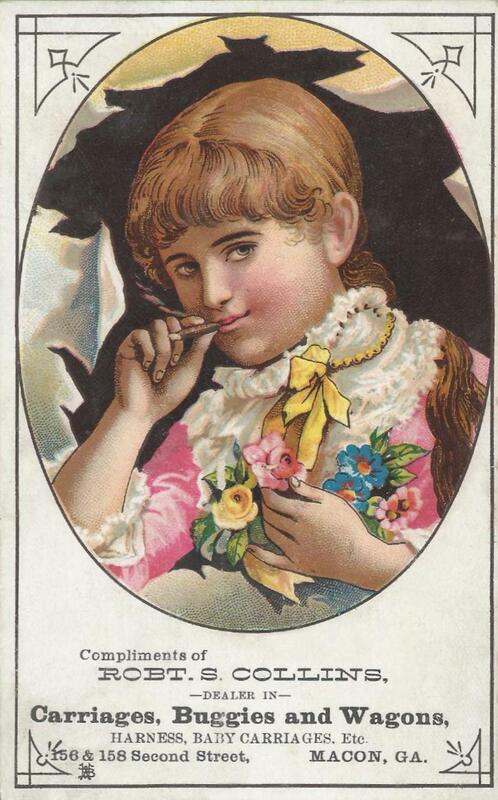 The Women’s Christian Temperance Union, of which Isabella was an active member, used their regular weekly newspaper columns to warn parents of the perils of tobacco. From The Enterprise (Wellington, Ohio). September 13, 1893. By the early 1900s the tide shifted; the public and the medical community began to reconsider the effects of smoking on health. Although the tobacco companies continued to glamorize cigarette smoking, churches and communities banded together to raise public awareness about the dangers of smoking. They petitioned lawmakers to enact legislation to eliminate tobacco sales and ran articles and warnings in newspapers across the country. From The Bemidi Daily Pioneer (Bemidji, Minnesota). May 18, 1907. The Willmar Tribune (Willmar, Minnesota). June 7, 1922. These efforts—and millions more like them—laid the foundation for the regulations and laws we have today that prohibit cigarette companies from selling and marketing tobacco products to children. Would you like to learn more? Stanford School of Medicine researched the impact of tobacco advertising. Click here to see more examples of tobacco company advertising. You can also click here to see vintage advertising from the late 1800s and early 1900s on Isabella’s Pinterest board.